Pushchairs, Travel Systems, Car Seats, Nursery Furniture and more from MumStore! We stock Maclaren Pushchairs, although it is worth noting that stock of Maclaren pushchairs is currently quite restricted, we do have the likes of the Maclaren Techno XT and the Maclaren Quest in stock and ready to send via a next-day courier service. MumStore are a one stop shop for all your baby products and accessoriers from your baby's toys to your nursery interiors including nursery furniture. A recent addition to our growing range of products is the wonderful range from Moodelli. Want a small, durable all-terrain pushchair? Have you seen the Mountain Buggy Mini and now at £275, the price just got better! A more rugged and dependable Mountain Buggy pushchair is also still available - called the Mountain Buggy Urban Jungle - a great value pushchair that offers travel system compatability for £349! We stock Maclaren Pushchairs, although it is worth noting that stock of Maclaren pushchairs is currently quite restricted, we do have the likes of the Maclaren Techno XT and the Maclaren Quest in stock and ready to send via a next-day courier service. The wonderful Britax Affinity range now comes with a free Affinity Carrycot too! We are pleased to announce that the Maclaren Quest Railroad Stripe design is now available again! MumStore are a one stop shop for all your baby products and accessoriers from your baby's toys to your nursery interiors including nursery furniture. Recently we have become a stockist of Kohla Nursery Furniture - and we like the quality from Kohla! The Bordeaux room set from BabyStyle... BabyStyle have created a room set that provides a very mo.. This Major Elite Buggy Accessory Pack allows you and your child to be prepared for what ever the wea.. The gorgeous Epernay Nursery Furniture Range is sure to create your perfect, dream nursery. It has..
Say hello to the next generation of Group 0+ infant carriers...Kiddy is raising the standards for ch.. The NEW Mountain Buggy Mini buggy/pushchair... The NEW Mountain Buggy Mini is the latest pushchai.. The Maclaren Quest Sport offers multi-recline and leg support... Maclarens sporty Quest feat.. The Kiddy GuardianFix Pro 2 is a Group 1-2-3 car seat...Building upon the sucess of the GuardianFix ..
Special Bundle - one off, one available ONLY..
Say hello to the next generation of Group 0+ infant carriers... A truely great peice of enginee.. The NEW Coco Go Baby Rocker / Bouncerfrom Bloomcoco go is a 3-in-1 lounger, rocker/bouncer and stati..
Rearward and Forward facing installation options from the NEW Britax Dualfix...Whilst your child is ..
Rearward and Forward facing installation options from the Britax Dualfix...Whilst your child is plac.. The 2017 Britax Evolva 1-2-3 Plus... This Group 1-2-3 car seat is designed for 9-36kg, or approxi.. 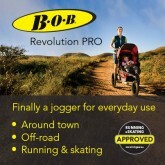 The Britax Romer Evolva 1-2-3... This Group 1-2-3 car seat is designed for 9-36kg, or approximate.. The Britax Evolva 1-2-3... This Group 1-2-3 car seat is designed for 9-36kg, or approximately 9 m.. Step it up with Bumbo...The Bumbo Step Stool iis suitable from 18 months to 3 years, or 50kg. It f.. The Chicco Echo Twin buggy doublestroller...A cool, stylish umbrella-fold style pushchair that makes..
A great addition to your Maclaren Major Elite Buggy, This Boot, or footmuff, covers your childs legs..
MumStore are official stockists of brands such as Bugaboo, Phil and Teds, Britax, Recaro, mee-go, Mountain Buggy, UppaBaby, BeSafe and many more....We stock Maclaren Pushchairs, although it is worth noting that stock of Maclaren pushchairs is currently quite restricted, we do have the likes of the Maclaren Techno XT and the Maclaren Quest in stock and ready to send via a next-day courier service. The wonderful Britax Affinity 2 range now comes with a free Affinity 2 Carrycot too! We are pleased to announce that the Maclaren Quest Railroad Stripe design is now available again!